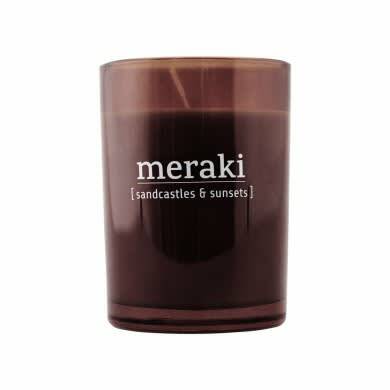 Sandcastles & Sunsets is a beautiful scented candle from Meraki. The candle comes in a dark glass that provides a beautiful contrast to the modern home. The scented candle is made of soybean oil, and therefore sows significantly less than a normal candle.